Pay-per-click (PPC) advertising is a fantastic way to quickly build a customer base for your website. A good PPC campaign can drive traffic to a website and generate sales for your business. A solid, well-managed PPC campaign is an essential piece of anyone’s Internet marketing. Milestone SEO provides a fully managed PPC solution for your business. The modern era of PPC advertising was started by Google in 2002. Google, through its AdWords network, continues to be the largest PPC network in the world. But what exactly is PPC? PPC is an ad for a specific service, based on a certain keyword. For instance, when you go to Google and search ‘cheap car insurance’ you will receive a bunch of search results. The first couple of search results are ads. When you click on an ad, you’ll be taken to a hopefully awesome website for car insurance. PPC advertising blends Web search with advertising to drive traffic to your site and increase your business. How Does PPC Advertising Work? When you think about PPC advertising, think in terms of a giant auction house where ads based on keywords are up for sale to the highest bidder. 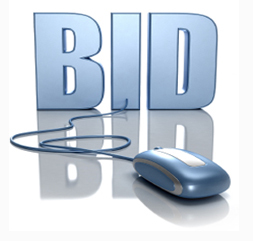 Advertising networks, like Google’s AdWords, function as the auction house. Your ad is the item for sale. And the clicks of potential customers are what you are buying when your ad is displayed to them. These auctions are all automated and occur every time someone searches for a keyword on a search engine like Google, millions of times a day. When someone searches for a certain keyword, they see your ad and click on it. You pay for the click. In return, you get visitors (or traffic) to your site. Why Hire Milestone SEO to Manage Your PPC Campaign? PPC advertising isn’t simple as it sounds. To get the most out of a PPC campaign, you need professionals that can optimize a PPC campaign for your budget, track your conversions and click-through rates (we’ll explain those terms), and even help you track customer calls generated by your PPC campaign. Milestone SEO has a 10-year track record of managing PPC campaigns. We provide full tracking and reports, custom phone lines, and click fraud monitoring to make sure you are paying for real clicks and real customers.